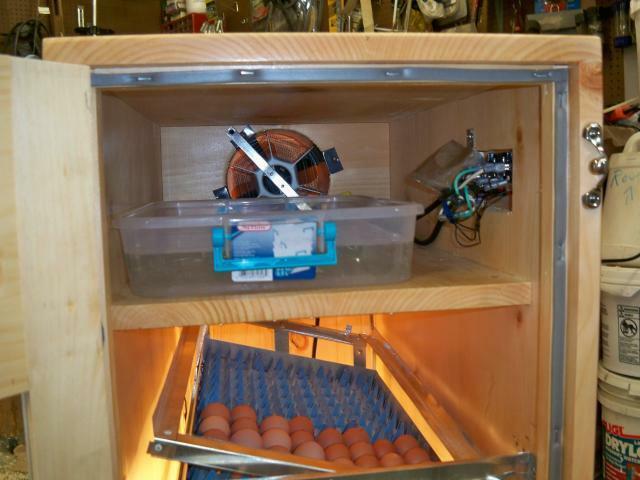 Here is our attempt at a Dickey's incubator, It's a six egg tray auto turning incubator with a hatching tray. Temperature and humidity regulate very well. 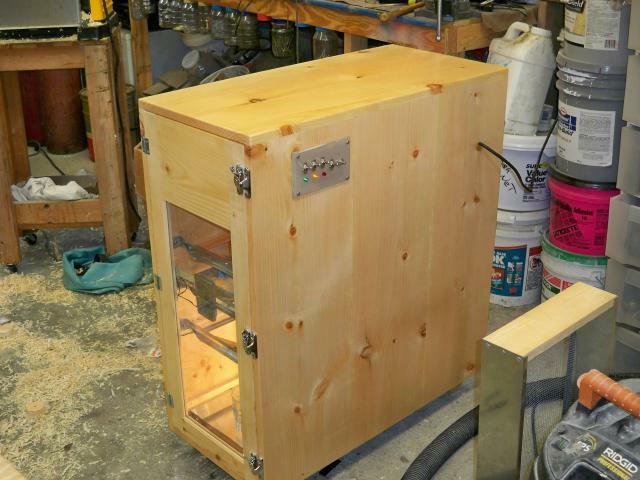 The cabinet is made out of solid 11/16 pine and the doors are both raised panels, the front door is 1/4 glass. 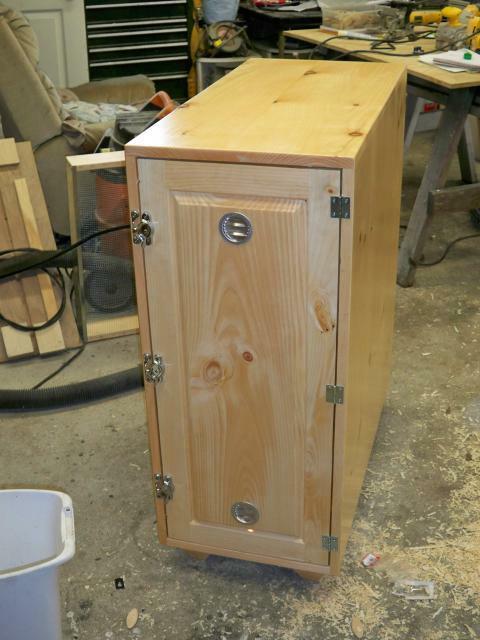 It is sealed with 5 coats of lacquer and chalked well. This box was built to last for many years. 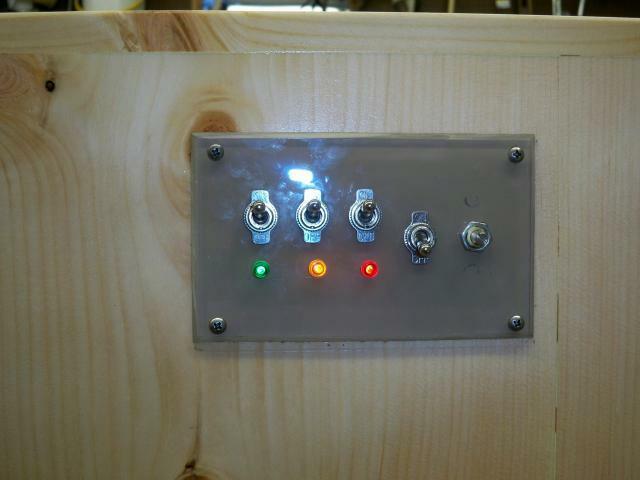 All of the exposed screws are stainless steel. 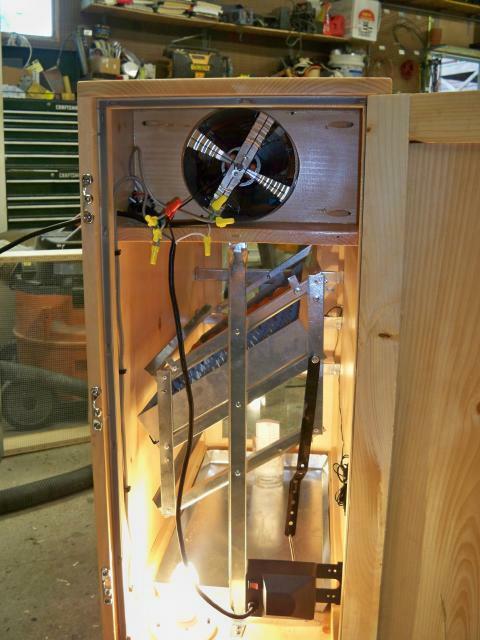 The heat source is a heater coil, it's in the paint can with the fan. The light however could be used as a backup heat source. Not all of the trays are in the pictures. 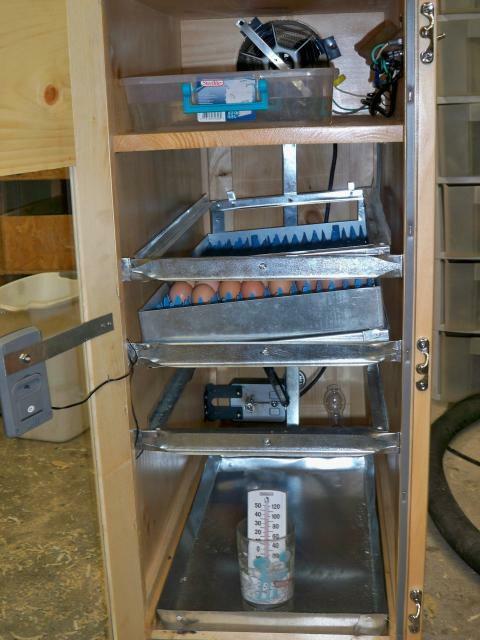 The hatching tray is 4" tall and the same size as the egg trays, it sets on the bottom over the droppings tray. See what happends when the economy puts a master carpenter out of work? oh well it was fun and with your comments, hopefully, rewarding. what did you use for the egg turner? I tried to use a wiper motor but the bracket was so short I only was able to rotate 90 instead of 180. I have a controller that will allow me to turn it on when I want and even for how long i want but I just cant get the right 180 out of it. I wanted to use a linear actuator but i cant figure out how to automate the reverse polarity. Nice job and thanks for posting. 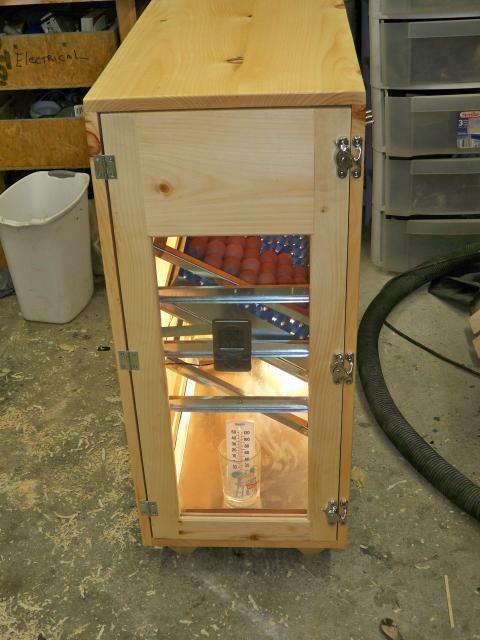 Do you still have the plans that you use to build your incubator? Would be nice if you posted them. Where did you buy all the parts?